Celebrate LGBT Pride Month by incorporating rainbow accents with a universal appeal. If you’re looking for pieces to perk up a dull room, then rainbow is the way to go. Whether your aesthetic is whimsical or slightly more sophisticated, we have just the thing! 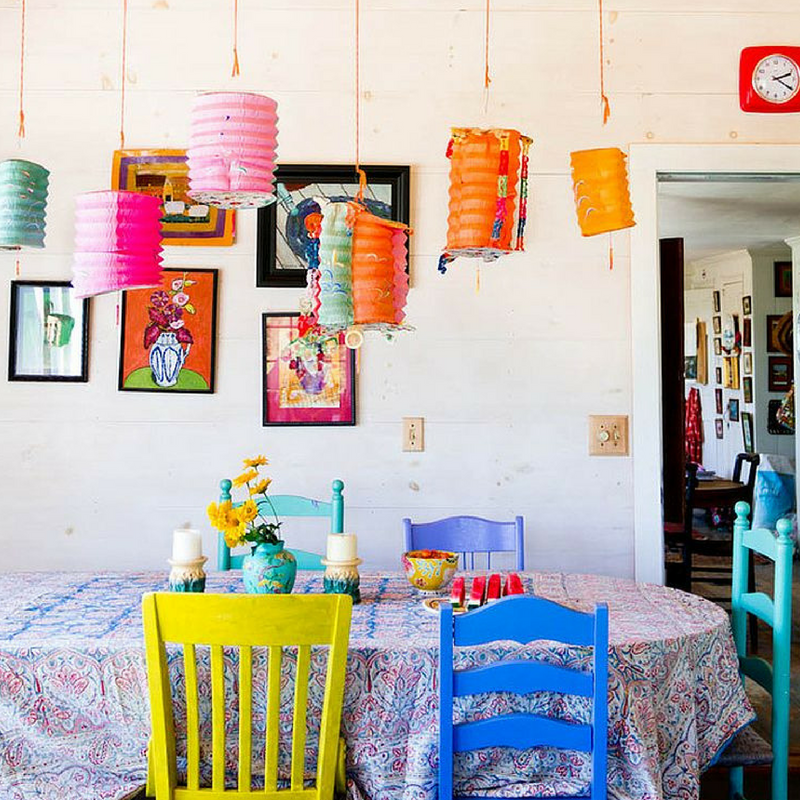 A home full of colour seems to have a stronger heartbeat, inspiring creativity and conversation. Colourfulness is perhaps symbolic of embracing uniqueness, allowing for differences to speak, making room for personality. For those of you that are neutral lovers, you surely need a little colour. 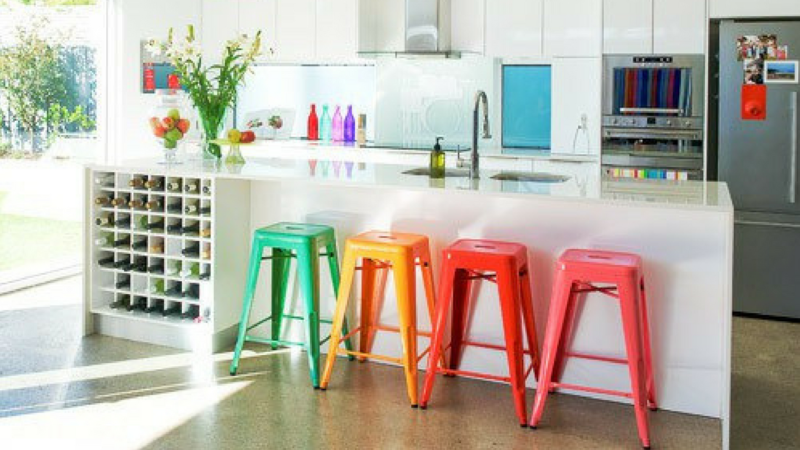 Here are some simple ways to incorporate more colour into your homes. You may or may not know that June is Gay Pride Month. This month is considered by many to be a special time of the year. It is the start of summer when moods are high at the prospect of good weather, barbecues, holidays, and music festivals. 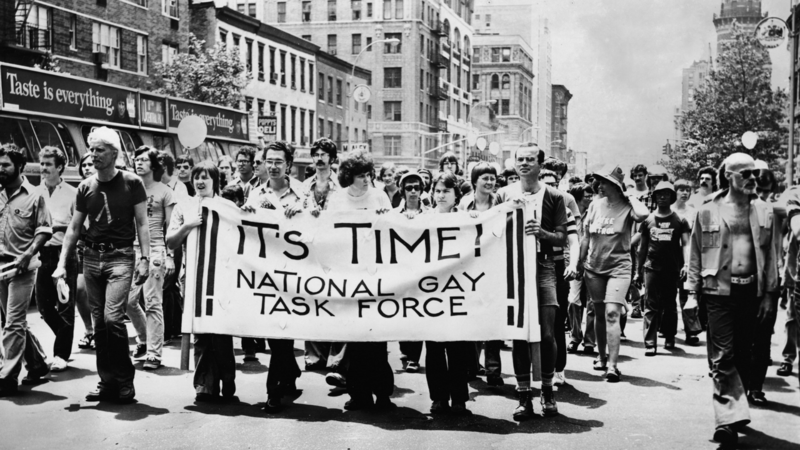 More importantly, however, the month of June was chosen for LGBT Pride Month, to commemorate the Stonewall riots. The Stonewall riots were a series of spontaneous demonstrations by members of the gay community against a police raid that took place in New York City in June 1969. These riots are now widely considered to be the single most important event that eventually led to the gay liberation movement and the beginning of the modern fight for gay and lesbian equal rights throughout the world. 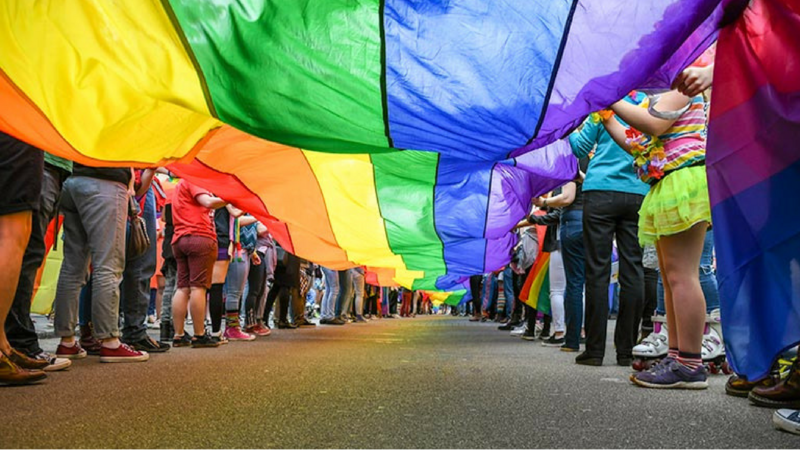 As a result of the Stonewall riots, many pride events are now held during this month to recognise the fight against the discrimination of LGBT people, and the impact LGBT people have had in the world. The rainbow flag seen at LGBT Pride events is a symbol of lesbian, gay, bisexual and transgender pride. Designed by San Francisco artist Gilbert Baker in 1978, the design has since undergone several revisions, but the most common design is made up of six striped with the colours of red, orange, yellow, green, blue and violet. The idea behind the design was to represent the diversity of the LGBT community. 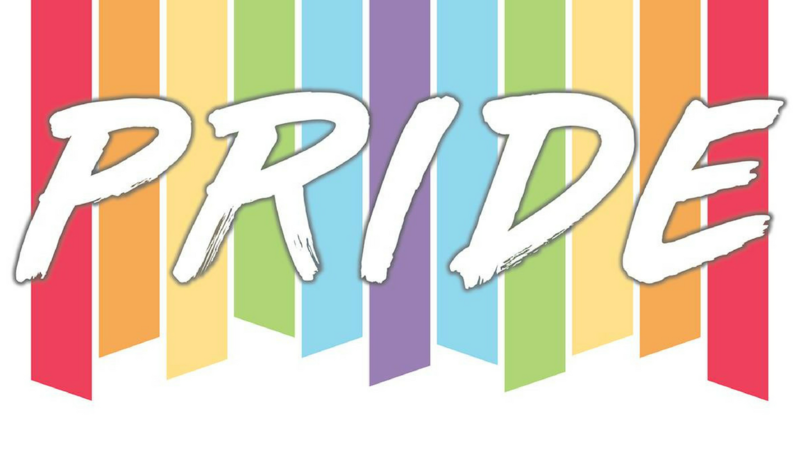 In support of LGBT people everywhere, and in support of all the LGBT Pride events occurring this month, we have chosen our top picks of rainbow coloured and flamboyant décor items. When it comes to home decorating, not everyone has either the time or the money to do a whole makeover in their home. But don’t fret! You don’t have to spend a lot either to get a nice change and pick up to the look of your room. We all need a little bit of colour in our lives. Colour sets the mood and the tone of the home – some colours are vivacious and energetic while others are much more calming and relaxing by nature. Whether you want a pop or burst here and there, or you want to pack a colourful punch. 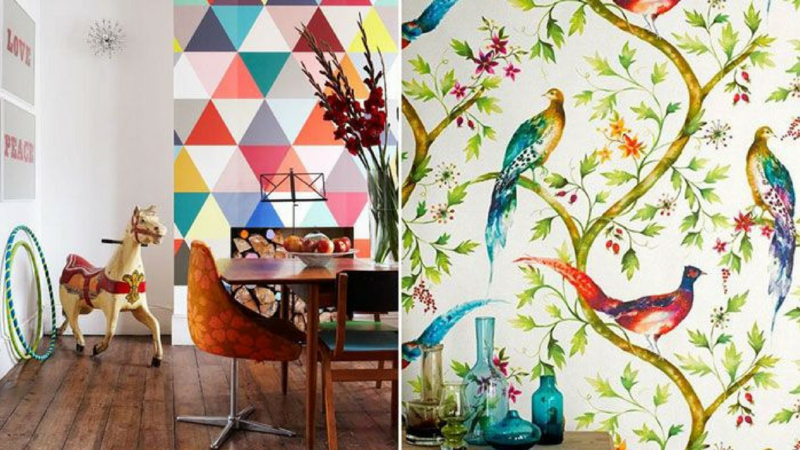 Below, you’ll find 11 creative ways to add colour to your home and liven up the décor of your home. You will find that you can add a real punch of colour by painting just one wall of your room. This will really change the focal point of the specific room without getting into a major decorating project. If your room has a niche, that’s the perfect choice for extra colour. You can choose a bold, contrasting colour picked from a floral fabric, or a subtle tone darker than the tone of the other walls. Any change in colour will add interest and splash! If you find it hard to know how to mix different colours together, then try sticking to a simple palette of two hues. It will create a fresh and modern look that allows you to add or subtract pieces ad you discover new finds. An empty nook or alcove can be given a lift, thanks to a new coat of paint. Pick a colour that harmonises with the textiles in the room to create a calm and serene space. Nothing adds colour like pillows strategically placed on furniture. Whether you choose solids for a floral sofa or chair, patterned for a solid colour chair or sofa, these simple additions will add comfort and just the right splash of colour. Accessories are the key to easily (and affordably!) adding colour to your home. Whether you’ve decided to paint a feature wall, invest in a statement piece of furniture or keep things simple, a few carefully placed accessories can instantly brighten up your home. Green plants or flowering ones add colour, fragrance, personality, and just good feelings to your home. If you really don’t have a green thumb, ask your local nursery or florist to recommend ones that require little or no care. If you’re gone from home a lot, settle for some of the wonderful artificial ones on the market now. You can find great looking plants, foliage, and flowers that only need to be dusted. The lush greens and vibrant blooms of natures creations are the perfect way to inject colour into your home. Choose from a wide array of houseplants including colourful orchids, large palms and easy to care for cacti. What’s more, bringing plants indoors will improve the air quality of the space, and make you feel more relaxed and productive. Even if you have a traditional classic home, you can add a point of interest by selecting a lamp or shade that is colourful and whimsical. How about using an interesting pot or sculpture? You can have the electrical components installed for a reasonable price at a lamp shop. Then select a shade that’s an interesting shape, and glue trim of fringe, beads, or ribbon around the top and bottom to add colour. Lamps can act as the focal point for a room but at the same time, you don’t want it to stick out like a sore thumb. It needs to fit in with the general style of your living room. Many lamps come in two pieces: the stem and the shade. But let’s face it, there’s an awful lot of choice out there. Different styles, colours and finishes, traditional and contemporary designs. It’s very easy to get it wrong. A colourful rug strategically placed in front of a chair or under a coffee table can add colour and texture to a room. It can be put on top of hardwood flooring, painted floors, or carpet. You can choose a contrast colour, chosen from fabric you’re using in the room, or look for one with an interesting pattern that ties into the theme of your room. This eclectic dining room embraces tone-on-tone texture through the canopied porter’s chairs and side chairs with woven cane seats. The rug is injected with blocks of vibrant colour. Two-toned curtains anchor the room, while at the same time bringing height to the space. 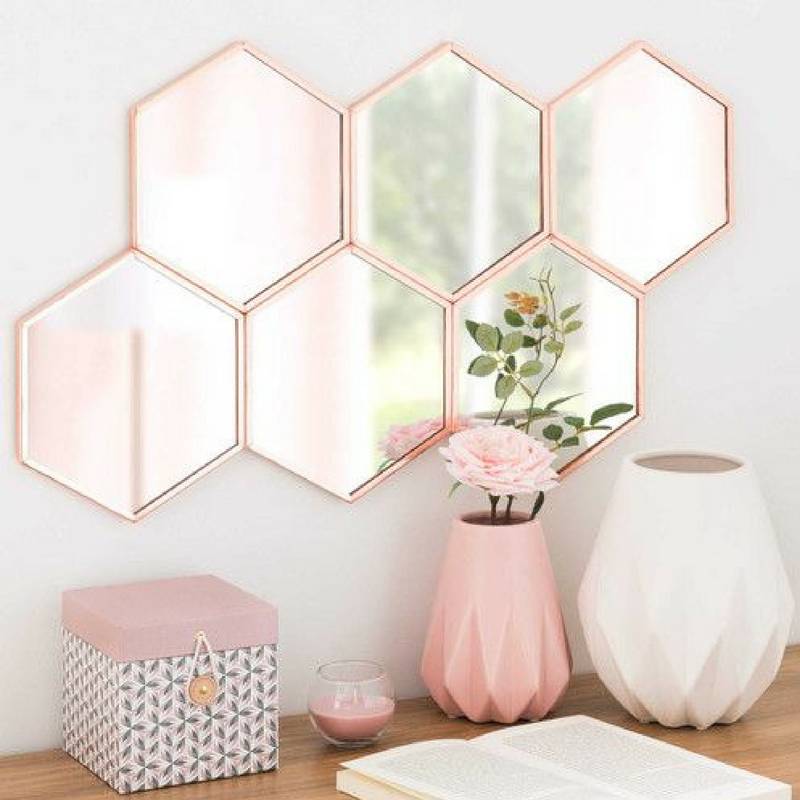 Try placing a large mirror on a bare, boring wall. Choose an interesting frame or decorate a piece of mirror with cording or braid. If you have an old frame, consider painting it a bright colour. The mirror will reflect the colour from around the room and add light to the space. Adding reflective accessories can all help to make the most of the colour available and add stylish touches throughout the home. The thing about having a mirror in your living room is the position. You can get a lot out of your mirror if it’s placed properly! Hanging it on the same wall as the only windows in the room is probably not the best idea. Think through all of the possibilities of hanging your mirror and ask yourself what you want to get out of your mirror. Perhaps you love colour but only in small doses? Adding small accent pieces will show off surprise pops of your favourite hues without having an impact on the rest of the room. A colourful piece of art placed in a home not only adds a decorative touch, but also introduces colours and shapes you might not be able to use in a larger area. Try framing simple photos with colourful mats and bright frames. Gallery walls are set to be big this season, and we’re over the moon about it. 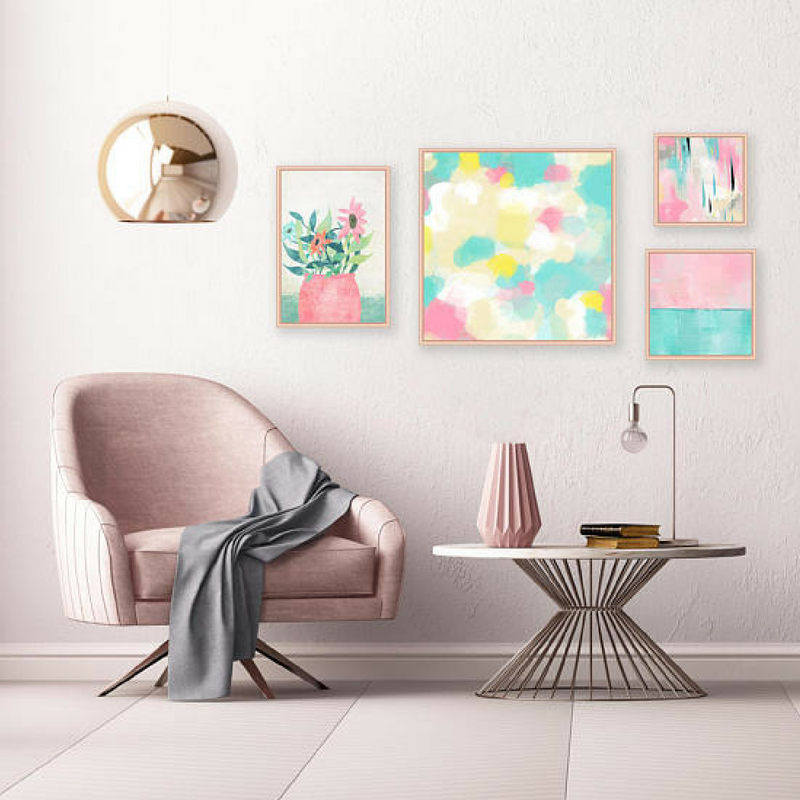 As well as offering the perfect spot to showcase your family photos and favourite works of art, gallery walls provide a great opportunity to inject colour into a space that’s otherwise plain and simple. Choose a variety of prints that both complement and contrast one another, and complete with funky frames or clever clips. Art is not only a great way to personalise a space – it can also bring colour into a room. A great touch of colour and interest can be added by painting a bookshelf two colours (or even more!). Paint the frame and outside one colour, and paint the inside of the piece, behind the shelves, with a contrasting colour. 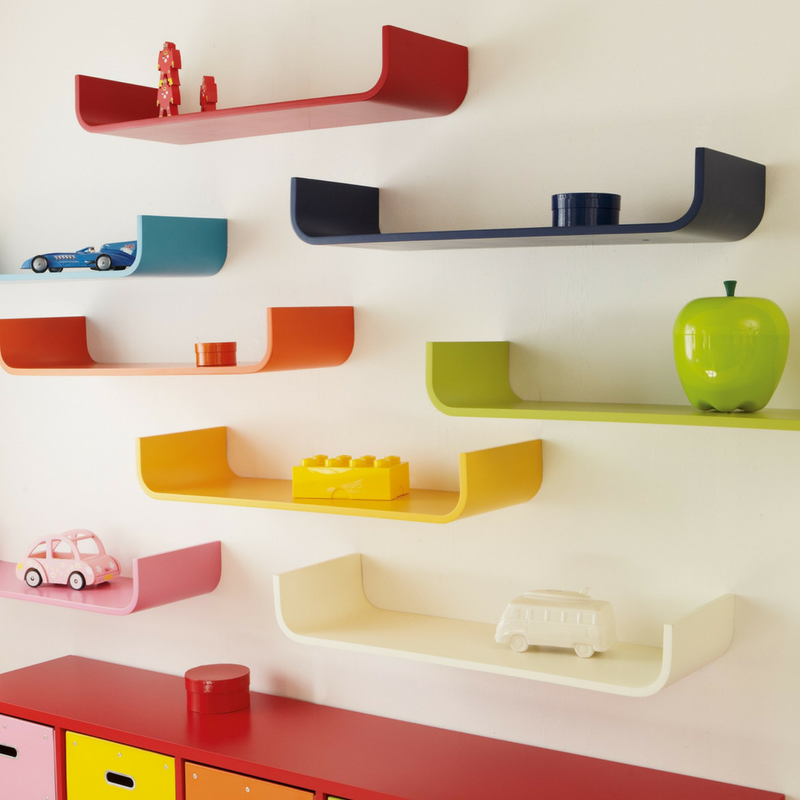 You can choose different shades for each shelf if you really want to draw the eye. The colour will really help the items on the shelves pop out and look important. An eclectic approach can result in a stylish look, but it’s easier to make things look sharp when you create a co-ordinated colour scheme. Perhaps you’re renting, or perhaps you prefer to have a neutral colour on your walls, but you yearn for a touch of colour. By painting the inside of your bookshelves (or cabinets) you’ll be making a big impact with minimal fuss. 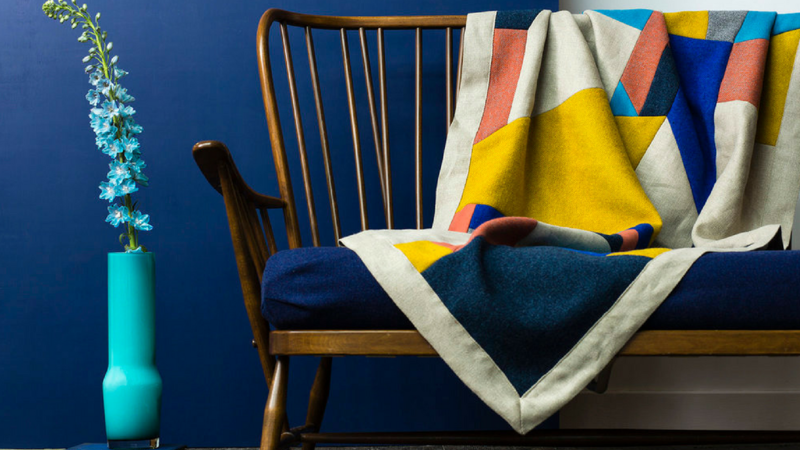 A handmade quilt, nubby woven throw, or cosy, colourful blanket adds interest when draped over the back or arm of a neutral sofa, or chair. Choose a colour that accents other pieces in the room, as well. And this practical touch can be used for keeping cosy when watching television or reading a book. 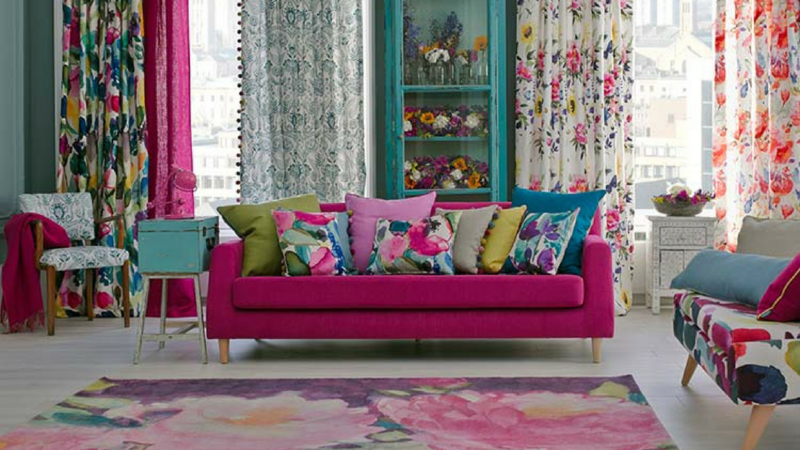 Fabrics are one of the quickest ways to bring colour into a space. Swap out the pillows on your couch, throw a new coverlet over the bed, or roll out a bright rug along your hallway to inject colour with minimum effort. If you’re fickle when it comes to hues, you’d best layer in colour as the mood takes you. Keep the base of your room neutral, and then introduce bold accent colours across accessories and textiles. This approach makes it easy to swap out pieces to quickly refresh the scheme. You can use colour to highlight an everyday aspect of your home and have it make a statement in the process. Why not paint the individual spindles on your staircase in graduating shades? This is a weekend project that will give your entryway the colour wow factor. 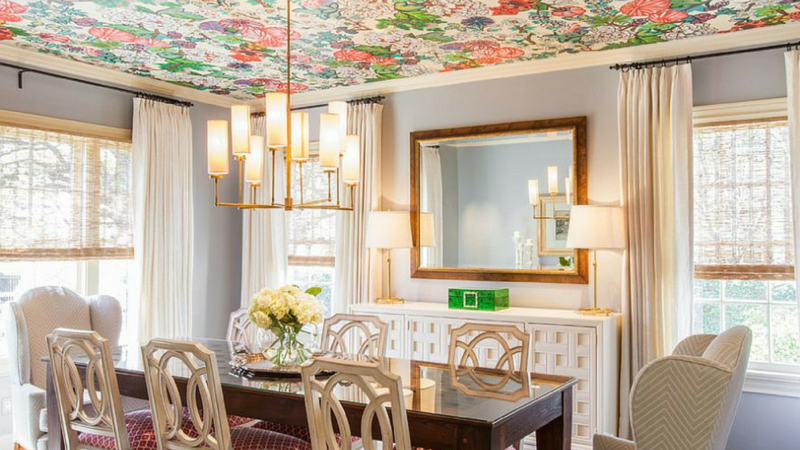 Take the colour overhead with an eye-catching ceiling. Groovy 70s inspired wallpaper adds playfulness between the exposed white ceiling beams. Picking up a note of colour from the wallpaper, bright red chairs surround the streamlined blacking dining table. Add an unexpected splash of colour to your room by painting your ceiling. Worried about the old adage that a dark ceiling will make your room feel smaller? Don’t worry, it’s been dispelled. Still worried, then opt to go for a “safer”, lighter colour, such as a pale blue or grey. Adding colour to your ceiling will add a lively touch to your style and will delight your guests. 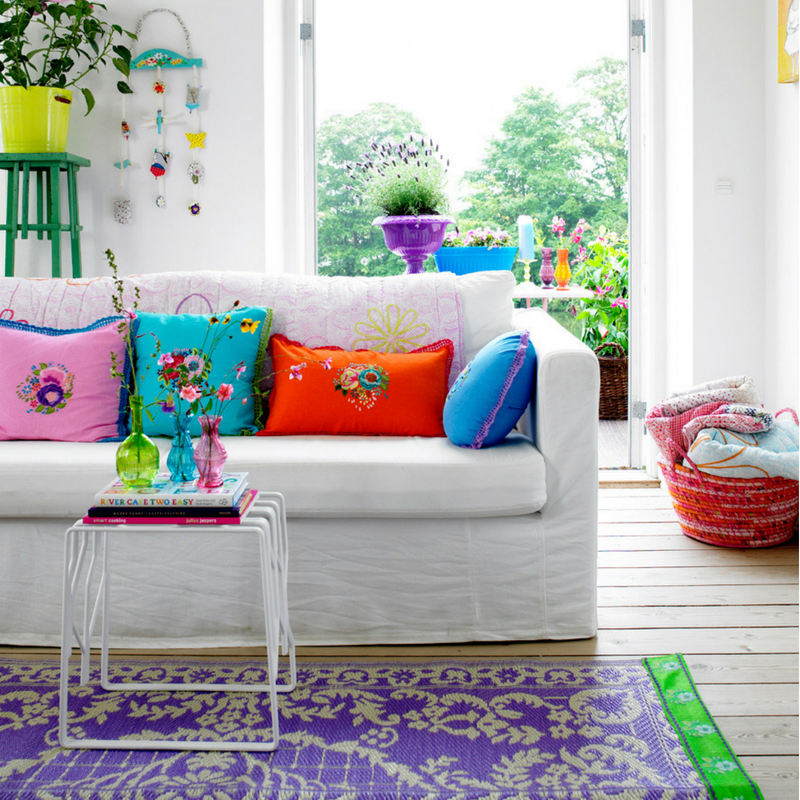 If you opt for colourful decor, you will always have lively and cool atmosphere in your room. 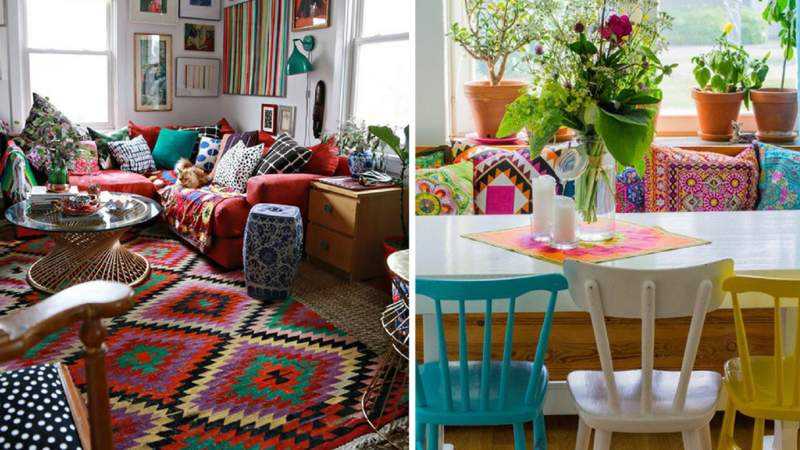 There are so many kinds how to incorporate colourful decor in your home. Take a look at our collection and you will see some beautiful examples. Enjoy!